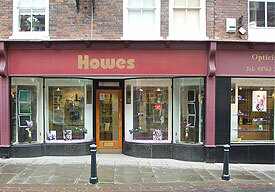 Howes Opticians aims to combine traditional values of excellent personal service, with modern, state of the art technology. We take pride in being a forward-thinking practice and offering in-depth expertise in the latest optical health developments. Located in Royston High Street.